After a big problem with macOS update , I've reinstalled macOS again. All data restored from my Time Machine . Now 1password extension AND 1P doesn't "recognise " the "new" Safari as the extension doesn't work and when pressing a login in 1P app , Nothing is opening . In a situation like this the easiest thing to do is to review a diagnostic report, can you create one for me please and send it in. 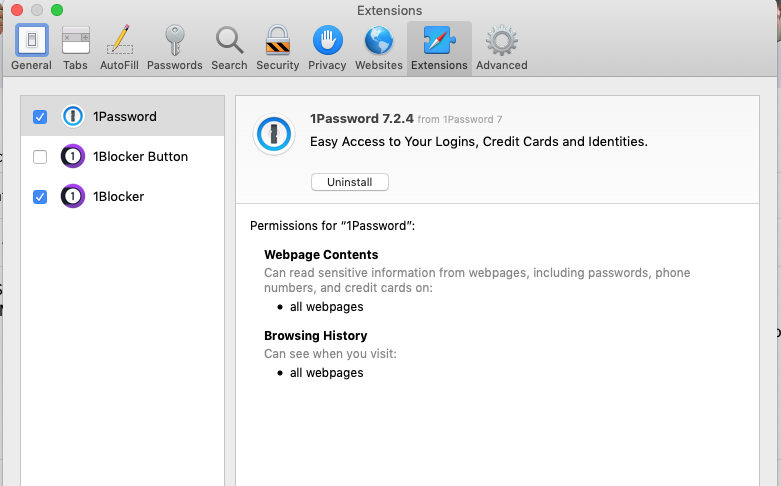 This link will guide you through the steps and has sections for the various supported versions of 1Password. The email address you will want to use is [email protected]. Once you've sent the report you should received an automated response from us with a ticket ID. If you can post that ticket ID here it will help us locate your diagnostic report and we'll see what it reveals. If after clicking the Create New Mail Message... button in the diagnostic reporting tool you see a bunch of errors dismiss the error message and instead now click on the icon to the right. This will open a Finder window focussed on a folder titled Diagnostics. In there you will see a folder and a ZIP file (whose contents are the folder). Attach the ZIP file to your email and send that in. Thank you, I've replied with a few steps to try. Hopefully they will help. Thank you very much for your help !!!! Can't live without 1Password !!! I'm glad we could help get things working again Hopefully everything will run smoothly for you now, do let us know if that should change for any reason.